“If I had asked people what they wanted, they would have said faster horses,” said Henry Ford. Like the automobile pioneer, Apple has long eschewed focus groups and popular opinion in determining how make its products insanely great, focusing instead on making its own design decisions without soliciting its customers’ prior approval. But even Apple and CEO Steve Jobs may not always know best. Sometimes, the company has revisited its decisions in light of user outcry—though certainly there are times that user complaints haven’t spurred any Apple changes. Here are some examples of each. Apple pulled a switcheroo with the iPad’s hardware switch. 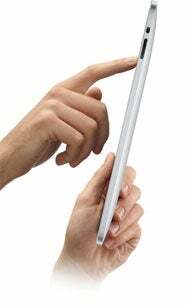 When the iPad was introduced last April, its hardware switch was devoted to orientation locking. By flicking the switch, you could prevent your iPad’s accelerometer from kicking in—making it possible to keep the screen steady while lying down or in other unusual positions. With the fall 2010 arrival of iOS 4.2, however, Apple switched the switch, seemingly in an effort to make the iPad’s hardware switch mirror the functionality of the iPhone’s. Many iOS devotees—among them the devilishly charming Macworld contributor Lex Friedman—complained about the change. Phones need mute switches, but tablets don’t. The iPad already had a hardware Mute control, triggered by holding the Volume Down button for a moment. Those of us who had come to rely on the hardware orientation lock mourned Mute’s overtaking the switch. Remarkably, in the first developer preview of iOS 4.3, Apple relented: a new option in the Settings app now lets you set which of the two behaviors you’d prefer to link to the switch. The original iMac. Say, where’s the floppy drive? In 1998, a year after Steve Jobs’s return to Apple, the company released the very first (Bondi blue) iMac. Customers (and the tech press) mostly loved the new look, but many were stunned that the floppy disk drive had gone the way of Gil Amelio. “How will we copy files without a 3.5-inch disk?” we wondered. “Am I supposed to burn a brand new CD each time I change a file?” we asked in disbelief. As it turns out, no. You’re supposed to rely on the Internet. (Things only got better if you could manage to wait a decade or so for magical services like Dropbox and the wondrous advantages of ever-increasing bandwidth.) But while Apple was hounded with calls to bring back the floppy drive, the company never, ever did. Apple made the computer mouse popular. Early on, the company’s one-button approach to the mouse made good sense: the world needed to learn how to use the darn things, so keeping things simple helped. But from the 1983’s Apple Lisa mouse, and for 20 years of successive Apple mouses, the company held steadfast to its One Button Per Mouse mentality. Over time, Windows PCs began almost universally to ship with multibutton mice. Third-party vendors created some for Macs, too. But folks who relied on Apple’s included mice were forced to rely on the Control-click, necessitating a combination of a key-press and a mouse click to simulate the elusive right-click. Control-clicking requires both hands working in tandem, and many Mac users wished Apple would join the rest of the PC industry in acknowledging the benefits of a two-button mouse with a true right click. It wasn’t until 2005 and the introduction of the Apple Mighty Mouse that the company would finally relent and offer a two-button device—sort of. In keeping with Apple’s button-phobic philosophy, the Mighty Mouse actually lacked any buttons, instead employing a pair of capacitive sensors. That meant in order to trigger a right click, you actually needed to lift your left finger up off the mouse’s surface, making contact only with your right finger. That flaw was—astonishingly, in my view—not corrected with 2009’s Magic Mouse, which still requires that you lift your left finger to trigger a right click. Verdict: Apple spends years ignoring customer requests, and only very, very, very slowly succumbs—and rather incompletely when it finally does. The Apple USB Mouse was not well-received in its day. While we’re talking about Apple’s unusual mouse decisions, it’s worth briefly mentioning the Apple USB Mouse. That’s the one that was introduced in 1998 with the original, floppy-free iMac. 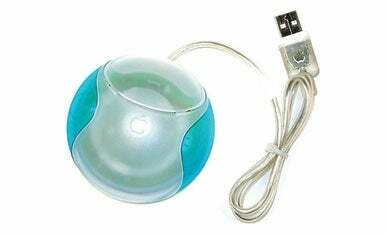 You probably remember it as The Hockey Puck mouse. Reviewer after reviewer—and customer after customer—complained about the mouse’s failure to consider ergonomics, and its literally painful focus on form over function. Shaped as it was, the Apple USB Mouse proved especially awkward to use. More than one manufacturer offered “snap-on” plastic attachments to elongate the puck into a more traditional shape. Two years after introducing the Hockey Puck, Apple returned to a more egg-like shape with the Apple Pro Mouse, and to date hasn’t regressed back to the puck form factor. Verdict: Apple listened to customers—and, likely, a campus-full of employees complaining about hand cramps—and rightly abandoned the puck shape. Careful how you hold that iPhone 4, mister. You might remember a bit of a hullaballoo not long after the introduction of the iPhone 4 over something the less creative members of the tech press dubbed Antennagate. To recap as tersely as possible: Some customers found that by touching a visual gap in the iPhone 4’s innovative exterior antenna, callers could cause their cell signals to decrease or drop. 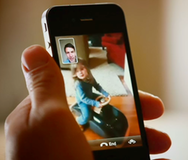 Apple called an unprecedented press conference to discuss the problem. Would the phone be recalled? Well, no. Apple pointed out that all phones suffer from signal attenuation when touched in certain spots. The company further said that it was seeing fewer returns from this model of the iPhone than any prior version, along with fewer tech support calls. In fact, Apple’s biggest point from the press conference was that the entire issue was overblown. But here’s where the company displayed a truly remarkable bit of wizardry. Despite its contention that the issue was minor, over-reported, and in fact endemic to all phones, Apple still chose to listen to its customers—or perhaps to those in the press who claimed to speak for those customers. Steve Jobs announced that Apple would provide free cases (which dramatically reduce or eliminate the attenuation issue), and extended grace periods for unhappy iPhone 4 customers to return their phones. The free case program ended in September of 2010, but by announcing it and reassuring customers (and potential customers) that Apple was standing by its phone, the company sold millions upon millions of the device. Verdict: Apple listened, even though it disagreed—which was clearly the right move. The very first iPod, originally released in 2001, sported an honest-to-goodness FireWire port. It wasn’t until the release of the third generation of iPod in 2003 that Apple switched to the Dock Connector we still use today. But beginning with the fifth generation model, Apple dropped FireWire support from iPods. Ironically, that fifth-generation iPod (released in 2005) was the first to support video—just the kind of large files you’d prefer to transfer with FireWire’s higher speeds. But from then on, iPods switched to USB-only, disappointing many of Apple’s Mac-using FireWire faithful. Transferring thousands of songs (and videos) is faster over FireWire. And Apple’s abandonment of Firewire resulted in Dock Connector changes that broke compatibility for oodles of not-so-old iPod chargers and accessories. Though Apple heard from many crestfallen customers who longed for FireWire’s triumphant return to the iPod, it never re-appeared. Apple had initially pushed hard for the FireWire standard, and it became a fast, reliable standard not just for early iPods, but also for many consumer video cameras, hard drives, and other peripherals. Over time, though, USB 2.0’s ubiquity far outpaced FireWire’s acceptance, and Apple began dropping FireWire ports (and speeds) from many new Macs. Verdict: Apple didn’t listen, and frankly seems to sell plenty of iPods and iOS devices despite their USB-only setups. But that doesn’t mean I have to like it. When Apple first released iMovie ’08, it was a tremendous departure from earlier versions of the company’s video-editing software. It was a complete re-imagining of the software, one that aimed to be more welcoming to newcomers, but the new version lacked some key features (a traditional timeline, plug-in support, inline audio controls) that oxymoronic iMovie pros depended upon. In a rare example of Apple anticipating a negative customer reaction in advance, the company treated the release of iMovie ’08 (as part of the iLife ’08 suite a bit differently. Rather than replacing the app when users upgraded their iLife installations (as iPhoto, GarageBand, and the rest of the suite was), the previous version of iMovie HD 6 was left untouched. Additionally, the company offered iMovie HD 6 as a free download for anyone who purchased iMovie ’08. Recognizing that its “improved” version of iMovie wouldn’t suit everyone, Apple in this case pre-listened to its customers, making iMovie 6 HD freely available up until the release of iMovie ’09—an update that restored many of the HD 6 features that the ’08 edition lacked. Verdict: Apple’s precognition machine was in full effect; the company listened to its customers before they even had the chance to complain. Most of the time, Apple charts its own course. The company makes decisions that it considers best for itself and its customers, which of course makes good business sense. When those decisions aren't immediately popular with customers, Apple does sometimes attempt to heed its customers' demands. Of course, for every more popular customer request ("Give us a supported way to install iOS apps that don't go through the App Store"), there are some that Apple will never, ever heed ("We want Flash on the iPhone!"). Clearly, given the company's current level of success, Apple tends to make the right decisions on these matters most of the time—or at least, right enough.